John Henshaw Architect Inc. is a multidisciplinary, award winning firm with more than 20 years of experience. We are full-service, architectural and interior design firm that is constantly updated on the latest building technologies and practices. We also stand for high quality in design, materials and workmanship. Our scope of work ranges from residential, commercial, hospitality to retail projects. John Henshaw is a professional member of the Architectural Institute of British Columbia (AIBC) and Royal Architectural Institute of Canada (RAIC) and is also Leadership in Energy and Environmental Design (LEED AP) certified. Joy Chao is a professional member of the Interior Designers Institute of BC (IDIBC) and has passed the National Council for Interior Design Qualification (NCIDQ) and hold the title of Registered Interior Designer (RID). She is also a Lighting Certified designer (LC). We also provide services in Mandarin and Cantonese. If you have any questions, please feel free to call our office to discuss your project in more detail. Lanefab is an award winning design+build team crafting new custom homes and major renovations. Design quality and energy efficiency are at the centre of our practice. Our team can work with you through concept design, permitting, interior design and turn-key construction services. In 2010 Lanefab completed the city of Vancouver's first 'laneway house' permitted under the city's new Eco-Density policy, and in 2012 completed the first net-zero solar powered lane house. We're currently working on several 'Passivhaus' projects that will bring world-class energy efficiency strategies developed in Germany to Vancouver. 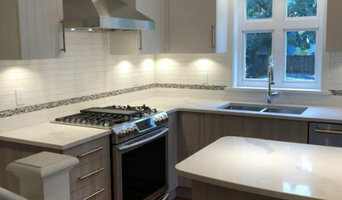 Klondike Contracting is an award winning Design, Construction, and Renovation company. 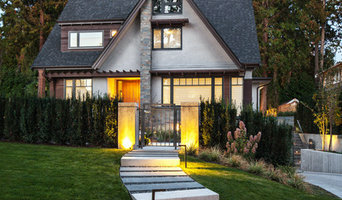 Whether you are considering a high-end design build construction, a home renovation, an interior design project or simply looking to ensure your home or commercial office is well-maintained, our goal, as a respected construction and renovation specialists, is to provide you with outstanding service and to guarantee that you are as pleased with the outcome of your project as we are! Let us turn your vision into reality and help you create a space that you will love. 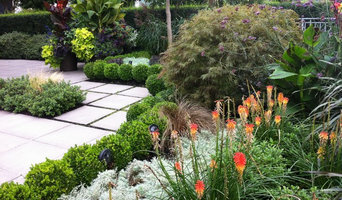 Botanica Design is a Vancouver landscape design company dedicated to the creation of unique and timeless green spaces. Innovative and modern design solutions that reflect individual style, locale and place. Be it private residence or commercial property, Botanica delivers unique and aesthetic results, seamlessly carrying ideas from inception to completion. Paeonia Gardens seeks to create, preserve, and enhance award winning pacific northwest gardens blending function with beauty in a variety of styles.